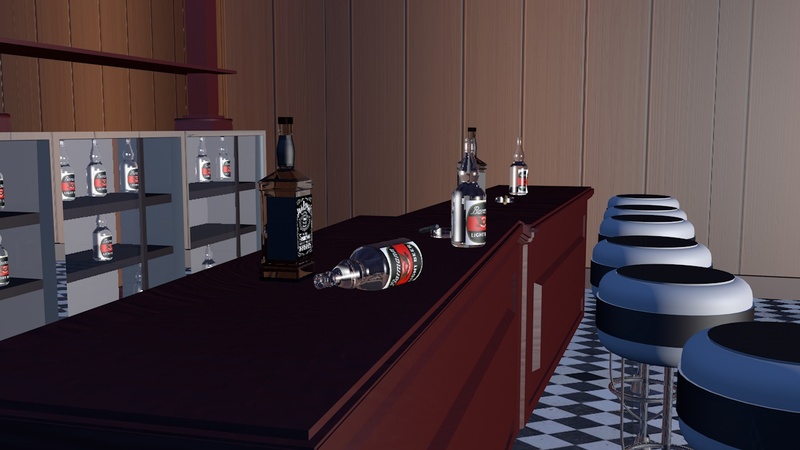 The process of modelling the bar and each individual objects was a fun experience that also made me learn new techniques. When I created the chairs for the robots to sit down on, I used a cylinder for the base of the seat and just extruded the middle and top parts with also a bevel to make the top look flat and comfortable to sit on. 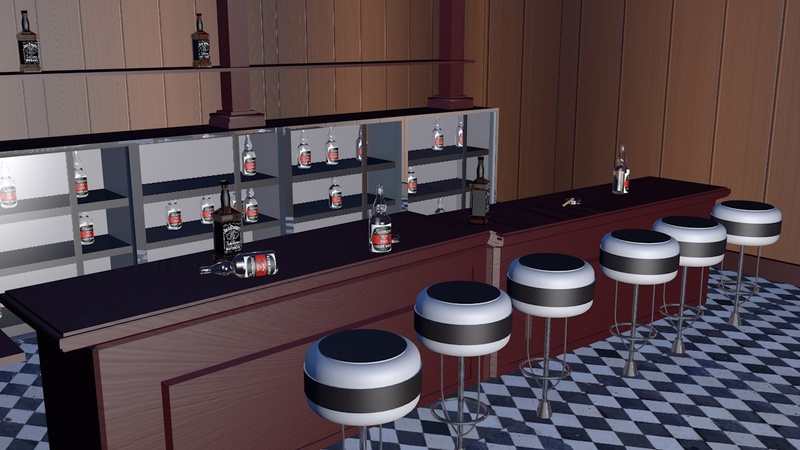 As for the stand to support the chair, I used a cylinder with the bend tool to curve the metal bars as to make it look like a more appealing and stylish support stand; the ones you normally see at clubs and bars to make the setting appealing to the theme. 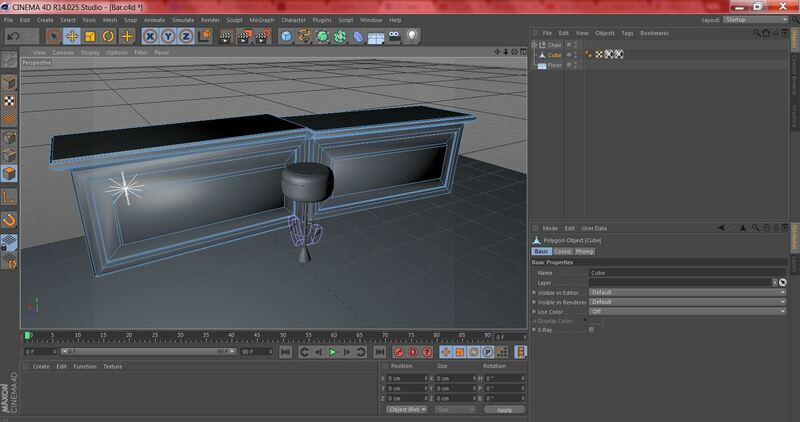 The table was created from a cube and extruding, scaling and inner extruding it to model out the shape of a table. The latter was modeled out the same way. I decided to model out this fictional city using Google Maps street view as a reference as to what Japanese buildings and streets look like. 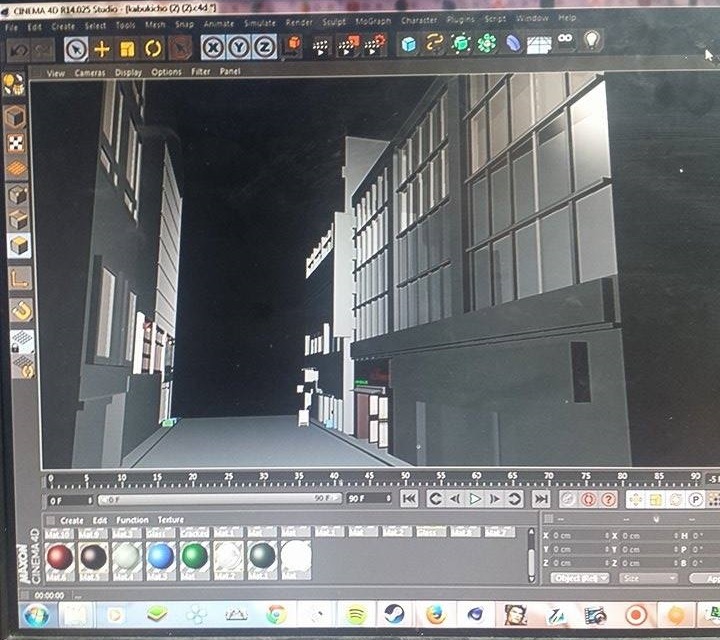 This enabled me to create a realistic narrow street that will be used in my animation. 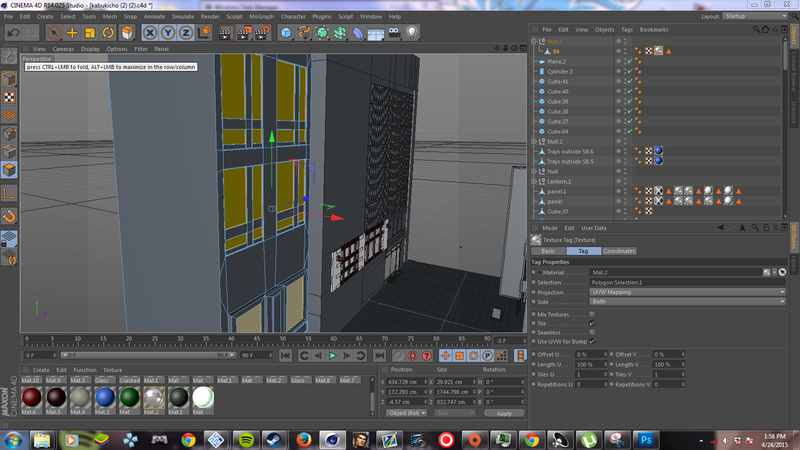 The buildings were made from a cube and by manipulating the joints and also using various editing tools such as the knife tool, extrude, scale, bevel and inner extrude. The development process for the city took two months total. I decided to use Google Maps’ street view as a reference to designing and modelling out my street that I’m going to create in Cinema4D. Since I have never been to Japan, there is one street I’m very familiar with which is ‘Kabukicho’; Tokyo’s red-light district. 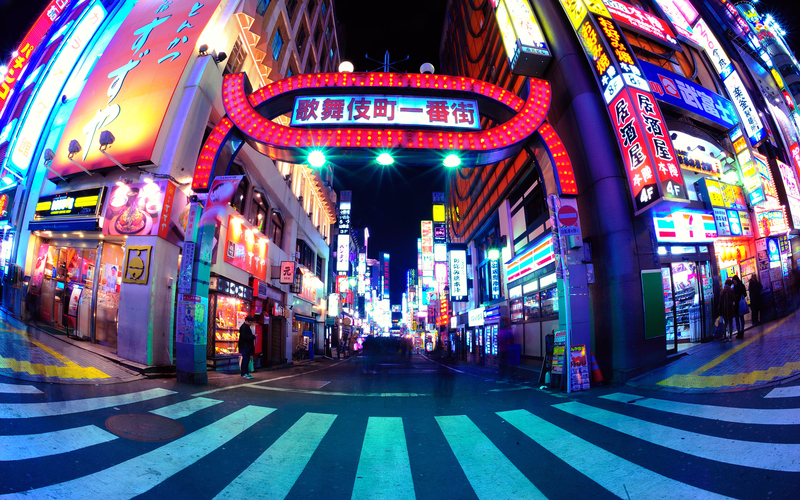 The streets are very narrow and mostly compromise of gambling parlors, love hotels, organized crime, loan shark businesses and convenience stores. The city is predominantly dubbed as the “Sleepless Town” due to it being so lively, full of bright lights and constantly entertaining. 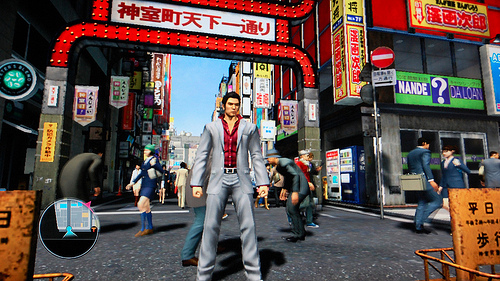 As to why I’m so familiar with this lively city, is because it’s the main staple open world city that you get to play in the video game series ‘Yakuza’ (or Ryu Ga Gotoku as its called in Japan). However in this open world beat ‘em up game, Kabukicho is renamed as Kamurocho due to it being a fictional game and a virtual city. 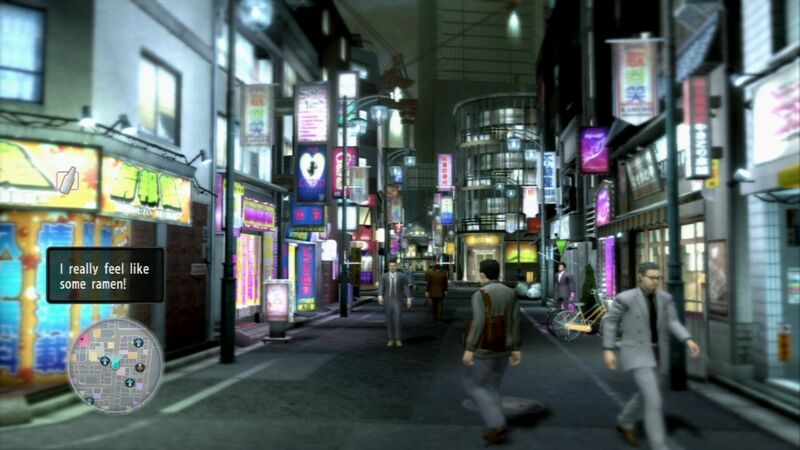 The map layout of Kamurocho is exactly the same compared to the real life city, with the exceptions of shops having different names to them and the design altered slightly. 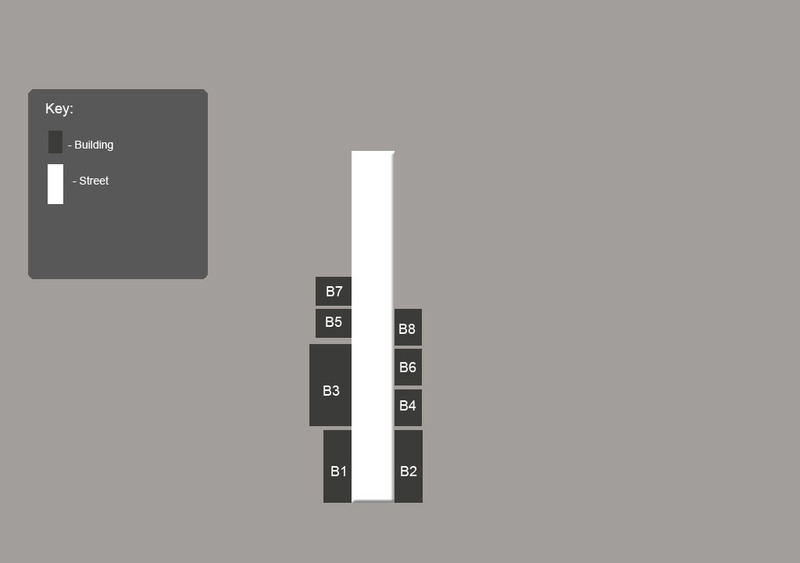 I’ve spent over two-hundred hours roaming this city in-game so the map layout and directions as to where to go are embedded into my mind, which would help me a lot when actually visiting Kabukicho myself in the future. 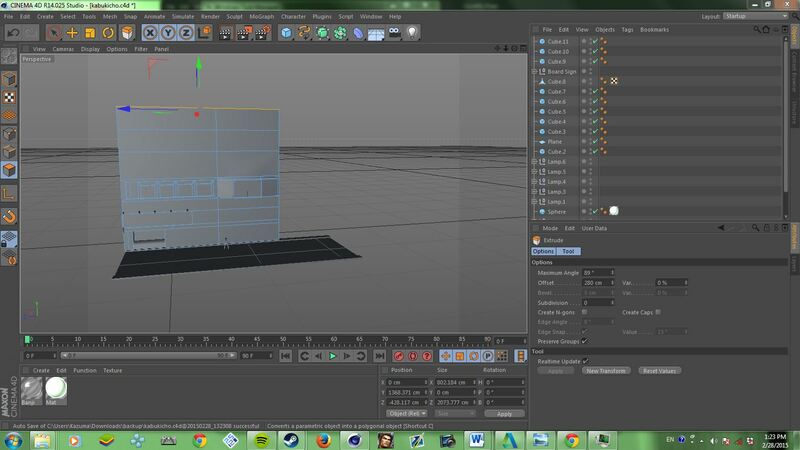 What I will be modelling for my final piece is only part of a street in this city. In Face/Off, Sean Archer is an operator for the police who as of late catches his deranged adversary, Castor Troy, who is the explanation behind his child Michael’s passing. The pursuit/catch renders Castor in a kind of unconsciousness. To end a terrorist plot that Castor as of now set up, Sean experiences face surgery that makes him look like Castor and invades his criminal group. In the mean time, Castor awakens escapes and does likewise, tackling Sean’s face so he basically looks exactly like Sean wherever he is. They both battle to recover their lives back and duke it out to try and kill each other. The director, John Woo, directed this revolutionary action film. He had used many film techniques such as the choreographed shootouts and displayed extravagant action scenes, drama, and also with the addition of John Woo’s trademark “gun ballet”, this separated this from other mindless action films/film noir out there. 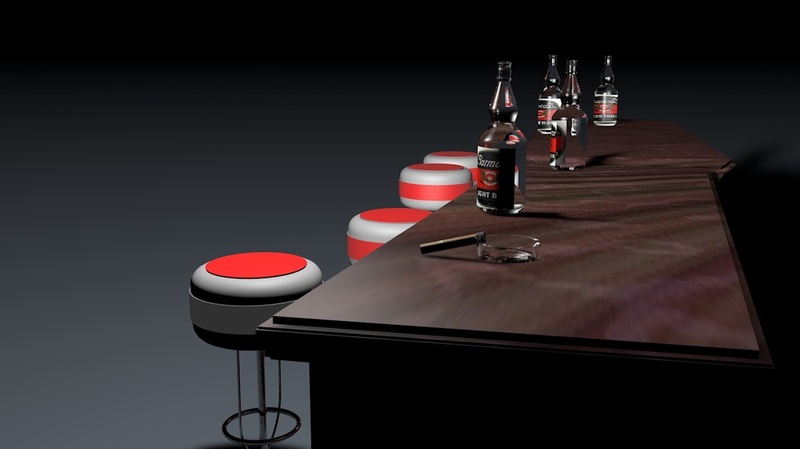 The film has many film noir elements such as the typical gangster plot, main characters frequently smoking cigarettes, romance and well dressed men wearing dark suits to fit the genre of the film which also adds to most of the darkly lit scenes.